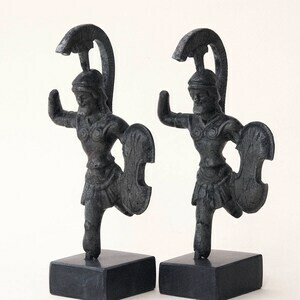 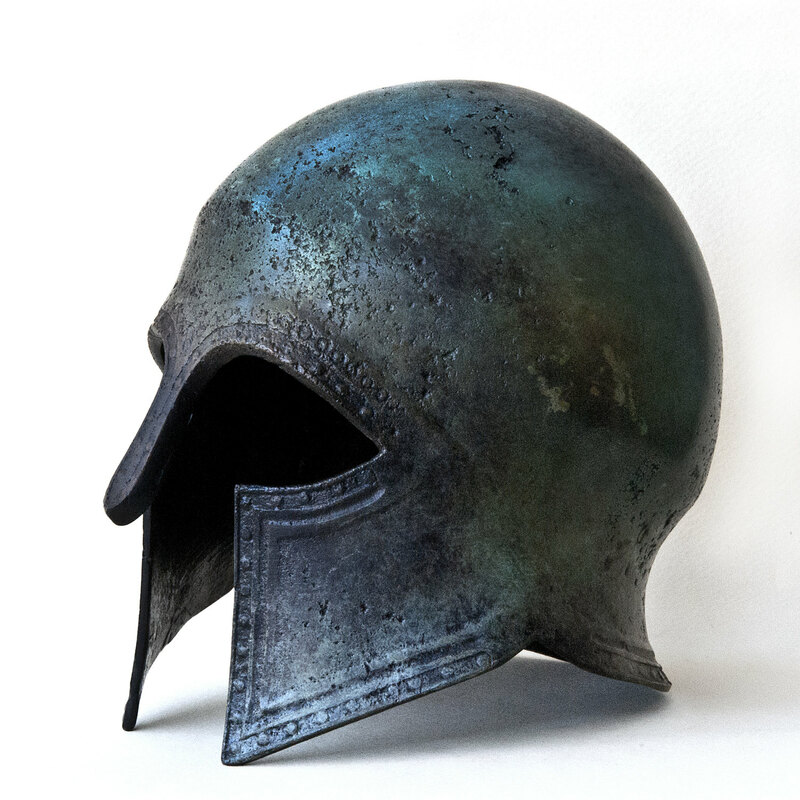 Helmet height: 19 cm / 7.5 inches approx. 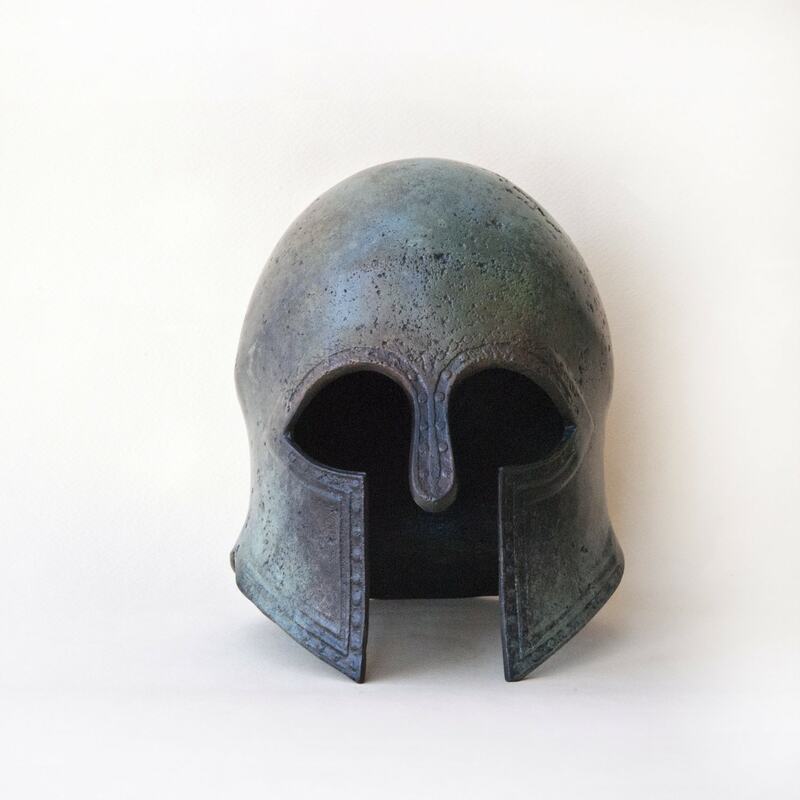 Helmet Width: 14 cm / 5.5 inches approx. 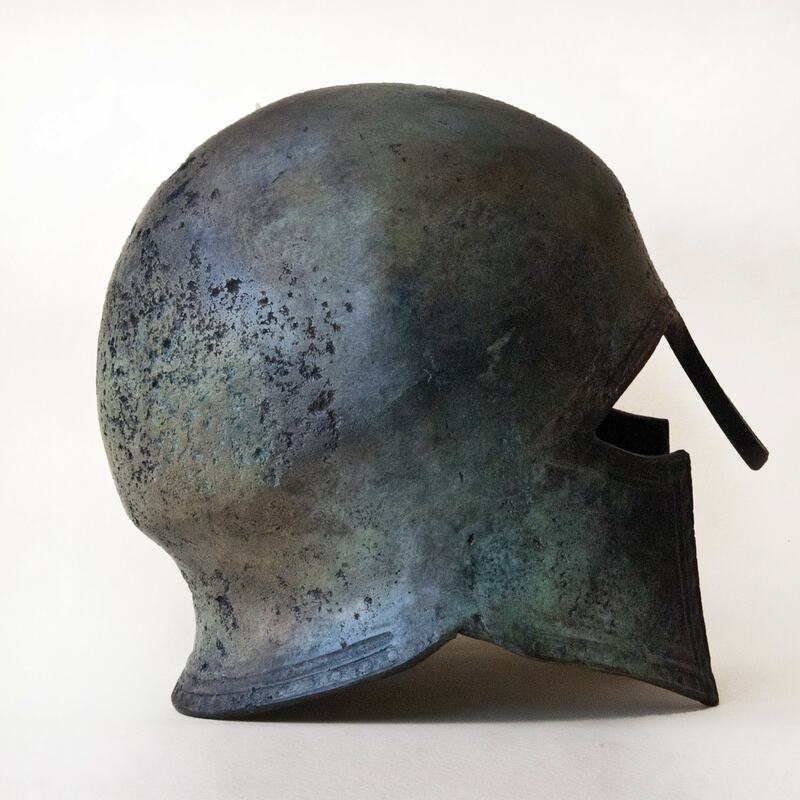 Helmet Side: 18 cm / 7 inches approx. 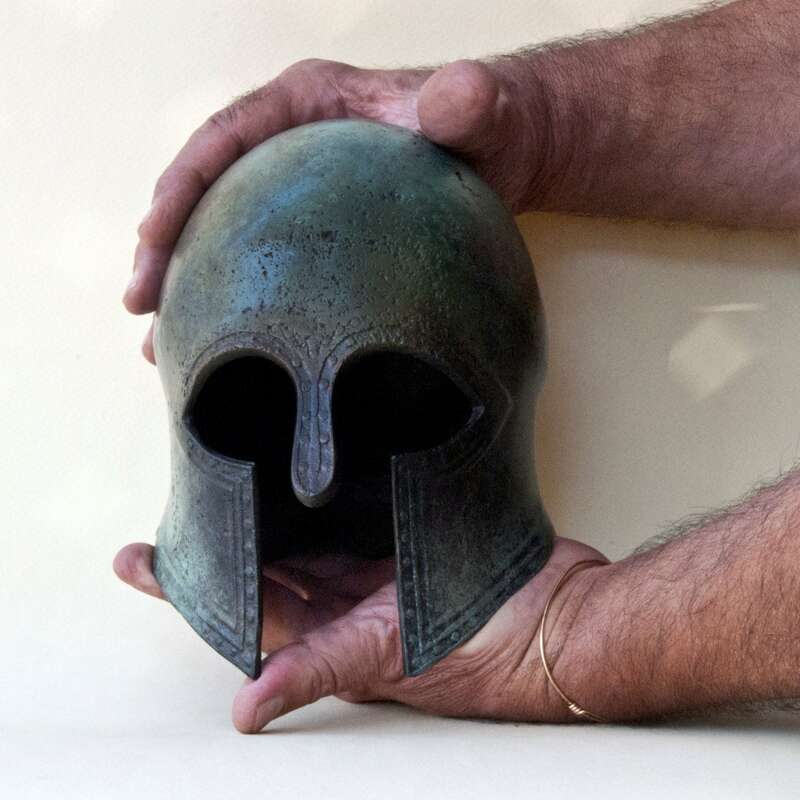 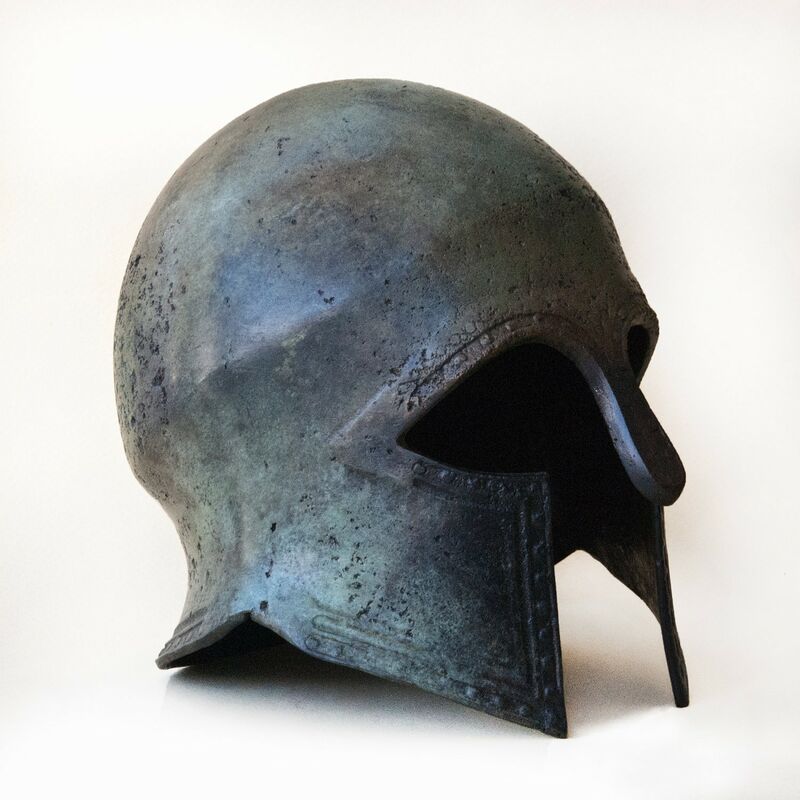 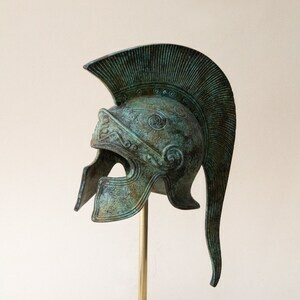 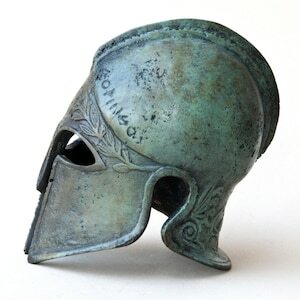 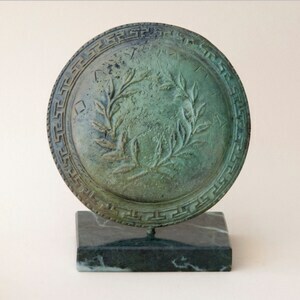 The Spartan/Corinthian style helmet appeared at the end of the 8th c. BC.